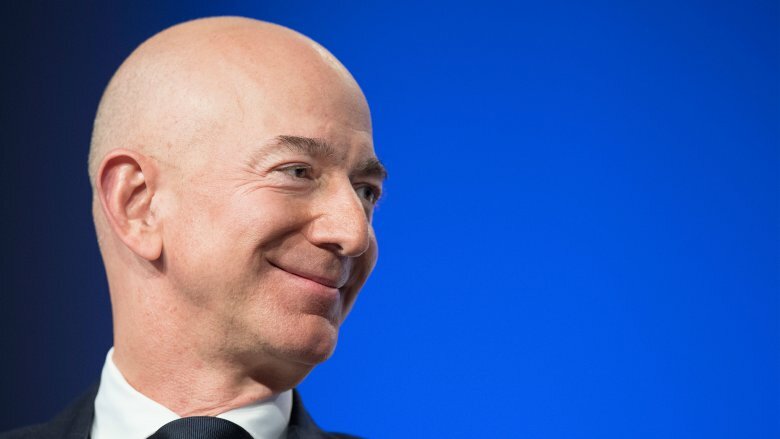 With an estimated net worth of roughly $140 billion, Amazon founder and CEO Jeff Bezos is the richest person in the world by a significant margin. Thanks to his e-commerce juggernaut, the entrepreneur is raking in so much cash that the average person would have a hard time comprehending his true wealth. 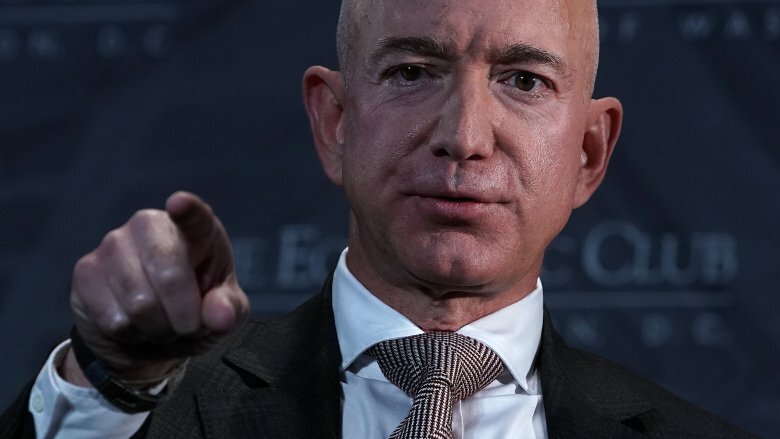 As a bite-sized example, Business Insider has calculated that in 2018 alone, in very rough and approximate terms, Bezos earned about $149,353 … per minute. It's easy to think that someone who's sitting on such a massive mountain of money didn't get the best seat at the billionaires' table by being polite and playing nice. In Bezos' case, such suspicions may very well be correct. Many of his business practices and personal traits show a man who knows what he wants, and is not afraid to be hard on his opponents and allies to achieve his goals. There are many stories of his less than savory antics, and when they're compiled, the dark truth of the richest man in the world emerges. 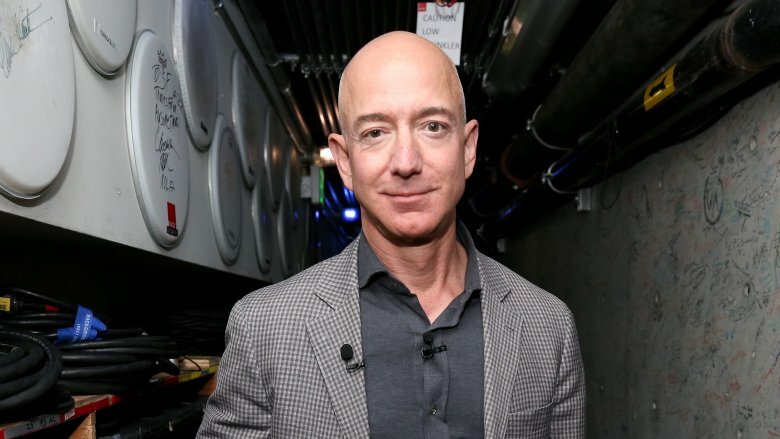 Here's what Jeff Bezos is really like. When people discuss Jeff Bezos, a recurring theme seems to be his insistence on holding all the strings he can reach. 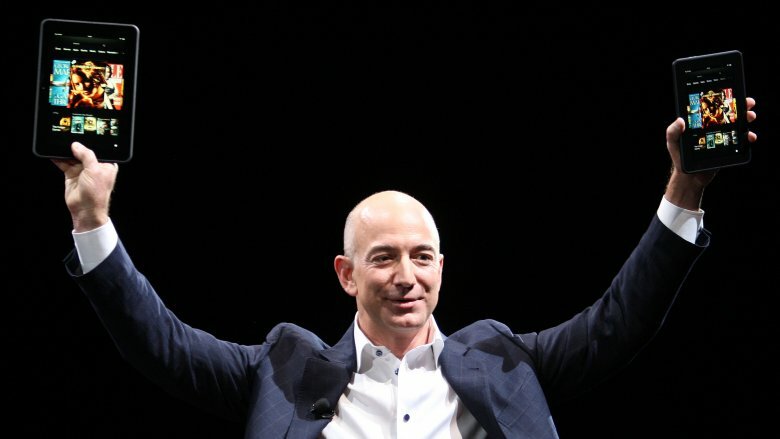 In an interview with CBS News, Professor Noel Tichy from the University of Michigan described Bezos as a "control freak" and Amazon as a "one-man show." Business Insider tells the story of former Amazon engineer Steve Yegge, who goes even further by saying the billionaire "makes ordinary control freaks look like stoned hippies." Bezos seems to be fairly unapologetic about this, and has been known to tell his employees that they should pay him to work at Amazon. Yegge does admit that Bezos' tendency to micromanage is overshadowed by the fact that he's extremely smart and often far ahead of his time. However, that doesn't make things any easier for his employees. In 2002, the CEO suddenly demanded that all his engineering teams must rebuild their systems from the ground up to build Amazon into a platform where every system was compatible and that outside developers could easily access. He also promised to fire every single person who couldn't pull off this massive undertaking. To say Jeff Bezos is not the world's most softly-spoken boss is like saying that the lemon is not the sweetest fruit. 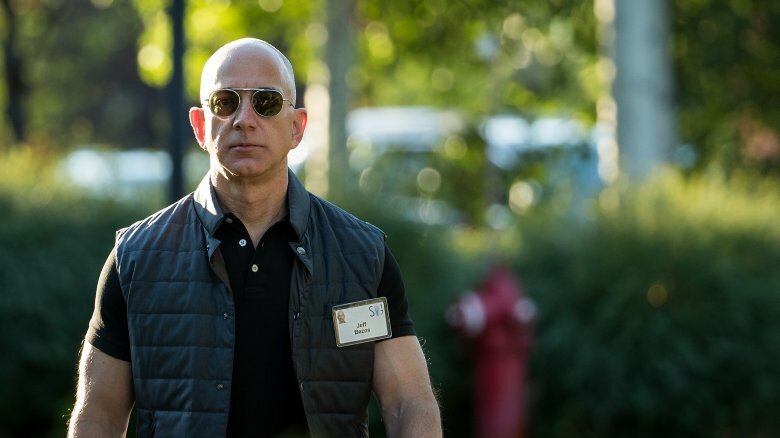 In his book The Everything Store, author Brad Stone describes Bezos' tendency to go ballistic when an employee doesn't meet his standards. The billionaire has an array of hyperbolic and harsh insults he tends to spew at the unfortunate targets of his ire with such anger that a blood vessel bulges on his head. Amazon veterans have actually collected a greatest hits list of Bezos' outbursts, which range from "Why are you wasting my life?" and "I'm sorry, did I take my stupid pills today?" to labeling his target incompetent or part of the "B-team." Some of these attacks are more or less understandable, such as when someone tries to blatantly bluff their way through a situation or attempts to take credit for someone else's work. However, an Amazon employee could get chewed out for any number of reasons, including internal politics, "frailty in the heat of the battle," or simply not having all the right answers straight away. 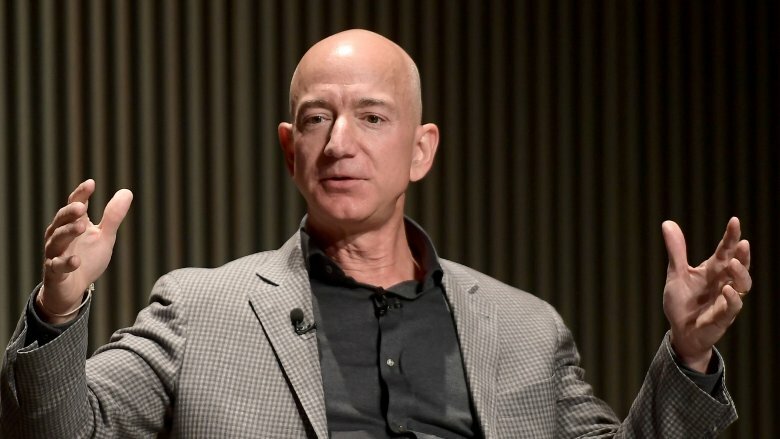 For a man who the Atlantic estimates would have to spend $28 million a day just to avoid getting richer, Jeff Bezos appears to have a strange relationship with charity. BGR describes how he took to Twitter in 2017 to ask people what he should do to be a philanthropist. Then, in a 2018 interview with Mathias Döphner, he stated that the only way he can see to use his wealth is to spend it on his space company, Blue Origin. Out of the four richest Americans (Bezos, Mark Zuckerberg, Bill Gates and Warren Buffett), AOL says Bezos is the most elusive about charity, despite being No. 1. He's also the only one of the four who hasn't signed the Giving Pledge — the commitment many of the world's wealthiest people make to use the majority of their resources for good causes. In all fairness, Bezos has made some charitable donations over the years. In 2018, he even started the Day One Fund, which aims to devote $2 billion to address homelessness and education issues. However, Vox points out that the initiative is uncharacteristically vague and potentially ineffective for a Bezos effort, and Recode even wondered whether the world's richest person would be so generous if he wasn't under such intense scrutiny. Even if the Day One Fund is ultimately successful in whatever its mission is, it's still peanuts compared to the $41.3 billion that the significantly less wealthy Bill Gates gave in charitable donations between 2000 and 2016. Few people like paying taxes, but even fewer can compare to Jeff Bezos in how frankly he speaks about his hard work to dodge them. According to Fortune, Bezos famously decided to found Amazon in Washington state instead of the hot tech hubs of California and was perfectly happy to admit that he did it to dodge California's sales taxes. At one point, Bezos even considered planting Amazon on a Native American reservation in California, where it would have been exempt from state sales tax. This was just the beginning of Amazon's natural aversion to tax-paying. For the next 20 years, the company carefully avoided sales taxes in the majority of other states, too. This gave it a price advantage over traditional book retailers and helped it to establish a strong foothold in e-commerce. As the Atlantic points out, Amazon's attitude toward taxes hasn't exactly changed through the years. As a massive economic player, it's able to parlay governments and states for billions and billions of tax deductions. In 2017, the company made $5.6 billion in pure profit, yet paid no federal income taxes whatsoever. As a major shareholder, this policy directly benefits Bezos — who naturally commands a fairly small salary, meaning nearly all of his income is subject to capital gains taxes, which max out at just 20 percent instead of the 37 percent top rate on regular income. "So Jeff Bezos is sitting in a helicopter with an attorney, a cowboy and a pilot" sounds like the setup of a bad joke, but in 2003, this scenario really happened. According to Business Insider, Bezos was in West Texas to buy some land for his Blue Origin rocket company. He was advised to survey on horseback, but preferred to make things quick by using a helicopter instead. So Bezos, his attorney, and a cowboy guide stepped in an Aérospatiale Gazelle chopper, piloted by Charles "Cheater" Bella. Once they landed at the first location, the guide grew worried about gusty winds and wanted to leave while it was calm. However, Bezos took his time before they moved to the next spot. What happened next was described by the National Transportation Safety Board as "an uncontrolled descent" that impacted the terrain. In reality, the accident was a bit wilder: A gust of wind made Cheater lose control of the helicopter, which clipped the ground and violently rolled into a nearby creek, tail and rotor blades snapping off during the tumble. Fortunately, no one died. 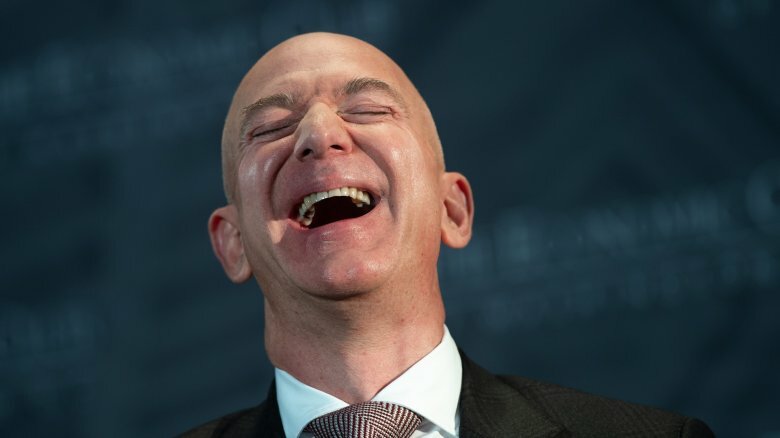 Bezos' reaction to the life-threatening accident that actually broke his attorney's vertebrae was … a one-liner and a loud laugh. He just commented that they should have used horses after all, and started laughing so hard that it boomed through the entire canyon. In late 2017, Amazon announced that it wanted to pick a location for its new "HQ2" headquarters, and began graciously accepting offers from cities all over the USA. Many of the offers were ridiculously generous, basically a competition to see who could give away enough freebies to lure Amazon in. MacLean's reported that many jumped at the chance to get the corporate juggernaut in their backyard. Chicago offered to direct $1.32 billion of the income taxes paid by Amazon workers back to the company itself. Newark's bid included over $7 billion in assorted tax benefits. Maryland's package of incentives and tax exemptions totaled $8.5 billion, and they even named their program "Promoting ext-Raordinary Innovation in Maryland's Economy" just to shoehorn in the acronym PRIME. New York and Virginia won the bidding war, but according to In These Times, everyone involved actually lost. Neither of the two new "headquarters" (which, oh yeah, might actually turn out to be just regional offices?) are likely to bring the promised 50,000 jobs and $5 billion in investment in the region. Meanwhile, Amazon may or may not still reap the full subsidy packages from both locations. Also, the HQ2 process gave Amazon access to a massive cache of non-public financial and infrastructural information on the whopping 238 cities that submitted their bids over the course of the competition, giving them massive leverage for future operations, which is maybe why Amazon orchestrated the whole bidding war in the first place. ​He attacks book publishers like "sickly gazelles"
When Amazon was starting out, many small publishers welcomed this new way of distribution with open arms. Unfortunately, they didn't quite realize what they were signing up for. The Everything Store reveals that Jeff Bezos doesn't think too highly of the publishing business and views the industry as a helpless animal just waiting for a predator. When the smaller publishers started becoming more and more dependent on Amazon for sales, the company suddenly started playing hardball, demanding more favorable contract terms in ways that The Everything Store calls straight-up sadistic. This treatment was courtesy of the CEO himself, as Bezos had ordered his employees to "approach these small publishers the way a cheetah would pursue a sickly gazelle." As a result of this mandate, some Amazon executives took such sadistic pleasure in abusing publishers that the company's lawyers started feeling a little worried about the situation. Eventually, they stepped in and demanded that Amazon rename its publisher-abusing business program from the Gazelle Project (yes, that was its actual name) to the more corporate-friendly Small Publishers Negotiation Program. When your lawyers have to calm you down, you know you've maybe gone too far. 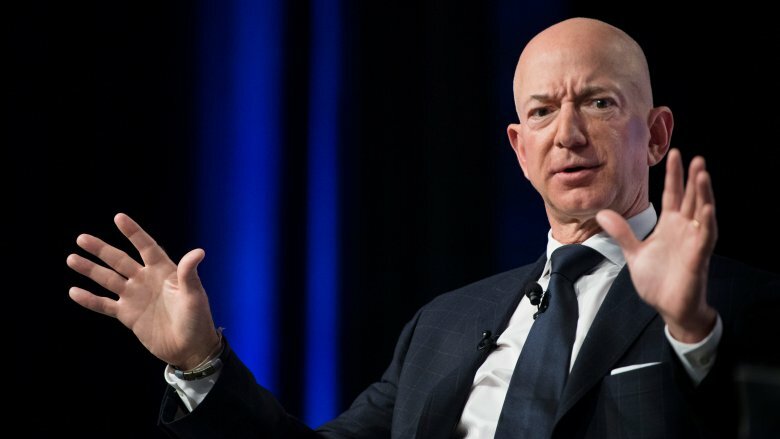 Being unpleasant to your underlings is rarely considered an effective management tool, but Jeff Bezos has actually harnessed it and taken things to the next level by encouraging his workers to be unpleasant to each other. According to the New York Times, Bezos and Amazon have thrown the concept of workplace harmony to the wind. Instead, employees are actively encouraged to eviscerate each others' ideas in meetings, and the company's internal phone directory even features instructions on how to give secret feedback about their coworkers to their bosses. The system is called the Anytime Feedback Tool, and using it to snitch on a fellow worker is so simple that it even provides sample texts, such as: "I felt concerned about his inflexibility and openly complaining about minor tasks." Multiple employees say the tool is often used to sabotage colleagues, and some have even devised smear campaigns where an unpopular coworker has been buried with multiple bad reviews. One former Amazon HR director calls this approach "purposeful Darwinism," and it's … not exactly the most employee-friendly management method. Amazon is a highly stressful workplace even without having to constantly fear that someone's decided to randomly report you to the Thought Police. To shape Amazon according to his vision, Jeff Bezos has created the Leadership Principles. Among other things, these 14 rules require workers to obsess over customers, accomplish more with less, and make speedy decisions while maintaining "relentlessly high standards." If that sounds unrealistic, many employees agree. The New York Times describes how workers have toiled over projects without sleeping for four days in a row, paid freelancers in India to help them keep up with data entry, and spent vacations at Starbucks using the free Wi-Fi to get work done. This sort of ruthless corporate culture can lead to health issues, which the company is less than sympathetic about. Amazon has reportedly cast aside workers who can't perform to the company's borderline impossible expectations, regardless of the reason behind their "incompetence." Even workers who have suffered cancer, miscarriages, or other life-altering personal crises can be evaluated unfairly or "managed out." The company even gives an insanely hard time to the people who actually can cope with the pressure. Ex-employee Chris Brucia tells a story about a particularly punishing performance review in 2012. His boss eviscerated him with a 30-minute lecture on all his faults and every goal he had failed to meet. Just when Brucia was certain his Amazon career was at an end, his boss hugged him and informed that he was, in fact, being promoted. Thanks for the pep talk? 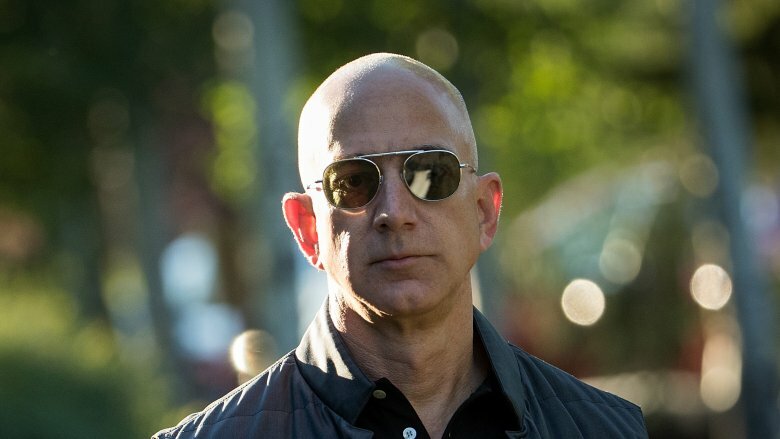 Jeff Bezos is a mighty CEO and a noted tech industry power player, but as Market Watch describes, there's also a whole lot about him that's ripe for comparison with a comic book supervillain. 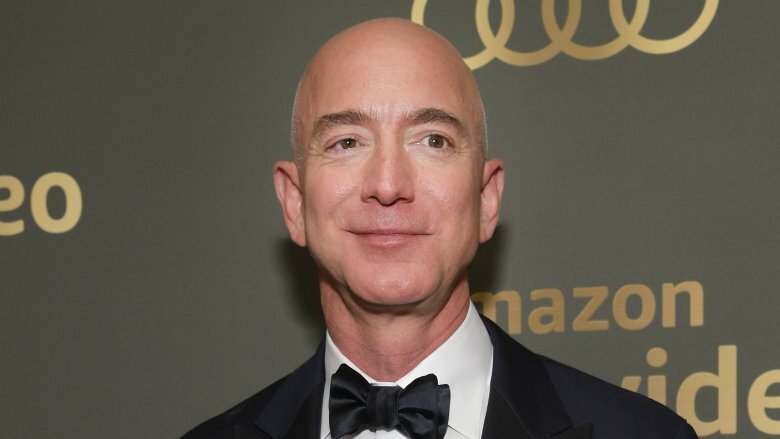 Apart from having the same hairstyle as Lex Luthor and Ernst Stavro Blofeld, he has money to burn and the control of a globally influential media institution. His penchant for developing a fleet for space exploration is another tick on the checklist, as is one of his stranger vanity projects — a 500-foot-tall, thermally powered "10,000-year clock" that he's embedding in a mountain for reasons that remain his own. 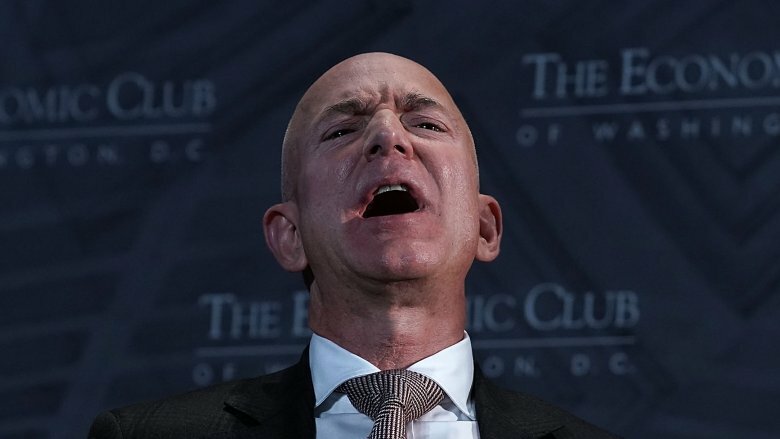 Bezos even has the melodramatic laugh to go with the classic villain image: As Inc. points out, the billionaire is known for his loud, honking laughter. Really, all Bezos needs at this point is access to a giant robot he can pilot … which, incidentally, he absolutely has. On January 9, 2019, Jeff Bezos announced on Twitter that he and his wife of 25 years, MacKenzie Bezos, were divorcing. According to USA Today, an extramarital affair may have something to do with the divorce, as multiple tabloids claimed Bezos had developed a relationship with former TV anchor Lauren Sanchez. Some have even released private messages in which Bezos is said to flaunt his strangely robotic sexting skills: "I love you, alive girl," he allegedly wrote to Sanchez. "I will show you with my body, and my lips and my eyes, very soon." Bezos' divorce announcement strongly indicates that the separation is amicable and the two exes will remain friends, but the ultimate outcome remains to be seen. After all, divorces are always difficult, especially with nasty rumors about other women flying around. IOL Business Report also points out that the effect the divorce will have on Bezos' personal worth and Amazon at large is currently unknown. Until now, the CEO has exerted almost complete control over the e-commerce giant, but that could change with the divorce settlement. 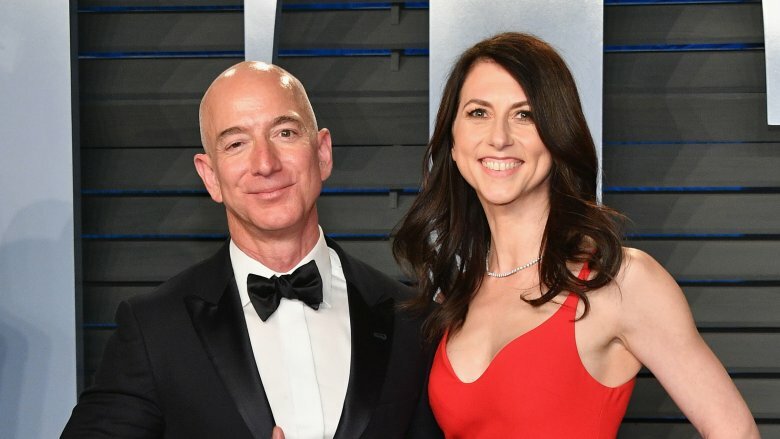 If his ex-wife walks away with half of everything, that will almost certainly diminish the Bezos' power in the company … and could potentially lead Amazon in strange new directions if MacKenzie Bezos gains enough leverage within the Amazon boardroom and decides to use it. ​His warehouses are "like prisons"
The warehouse is rarely the most luxurious place of employment in any company, but things are really bad when people are peeing in water bottles and comparing the work environment to prison. Life in an Amazon warehouse (or "fulfillment center," as the company calls them) involves both of those things, and many more. 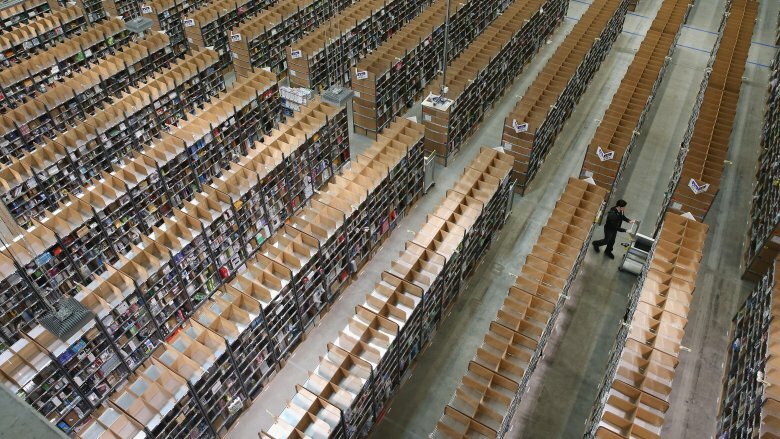 In 2016, author James Bloodworth went undercover in an Amazon warehouse to research for a book and soon discovered that the job was so hectic that he didn't have enough time to eat or drink properly. The atmosphere reminded him of prison, and the airport-style security checks and oppressive, point-based management added to the image. Some of the employees even peed in bottles and left them on the shelves because the performance targets were so high that they didn't have time to take a bathroom break. While Amazon denies many of Bloodworth's claims and has since stopped using the employment agency that hired him due to its questionable policies, other warehouse workers have repeated the writer's claims. According to multiple reports by Wired, Business Insider, the Guardian, and Newsweek, warehouse employees still urinate in bottles and even trash cans due to time constraints. The workers also say that many of the problems Bloodworth reported persist: The targets are too high, surveillance is constant, the pay is inadequate, and workplace injuries are depressingly common.